for $132,500 with 2 bedrooms and 1 full bath. This 936 square foot home was built in 1982 on a lot size of 0.1100 Acre(s). 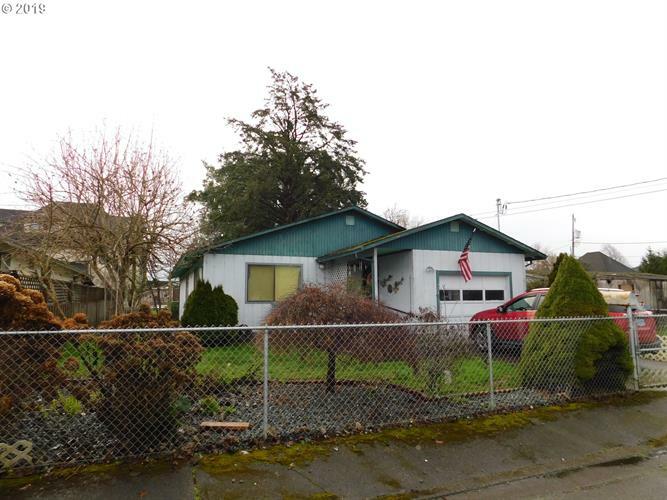 Located only a few blocks from Medical, Shopping & Post Office 1 level ranch style home on .11 of an acre that is fenced in with some nice landscaping. Built in 1982 with approx. 936 sq. ft., 2 Bed/1 Bath, nice sized living room, Kitchen has Oak cabinets with dining area off to the side, fairly large bathroom with nice storage, bonus covered add-on porch, single car attached garage with laundry area & a metal storage shed in back yard.